Joan reaches out to Kitty in "Just a Regular Irregular"
“Just a Regular Irregular” – Sherlock helps a math genius from his network of “Irregulars” experts after he stumbles upon a body while participating in a math puzzle competition. 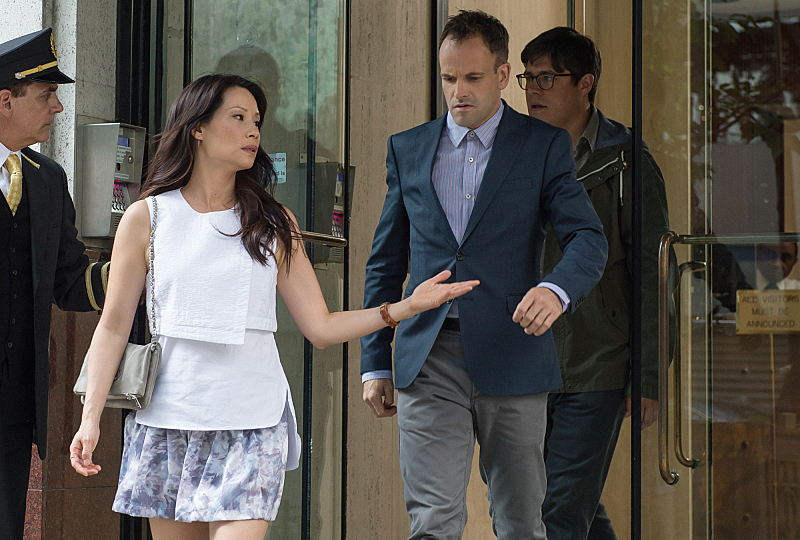 Meanwhile, Joan attempts to extend an olive branch after she learns about Kitty’s past, on ELEMENTARY, Thursday, Nov. 13 (10:00-11:00 PM, ET/PT), on the CBS Television Network. NFL legend Phil Simms guest stars as himself, a friend of Sherlock’s (Jonny Lee Miller) who has a surprising, little-known talent.